Towing and recovery. Enmergency roadside service. 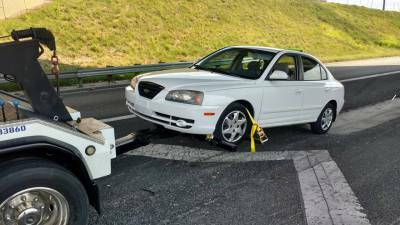 Our reliabletowing services in Lakeland offer fair pricing, modern equipment and a courteous, well-trained driver is what you’ll get from Mac's Towing And Recovery. Lock your keys in the car? No need to panic. We got you covered. We will unlock your car,truck,or suv and get you on your way. Call 24 hours a day and we will be there to in a flash to get you. We all know that feeling of being stranded. We provide fast affordable towing service. Got a flat tire or a dead battery? Guess what. We do that to. No need to stress. We will change your tire or jump your vehicle.